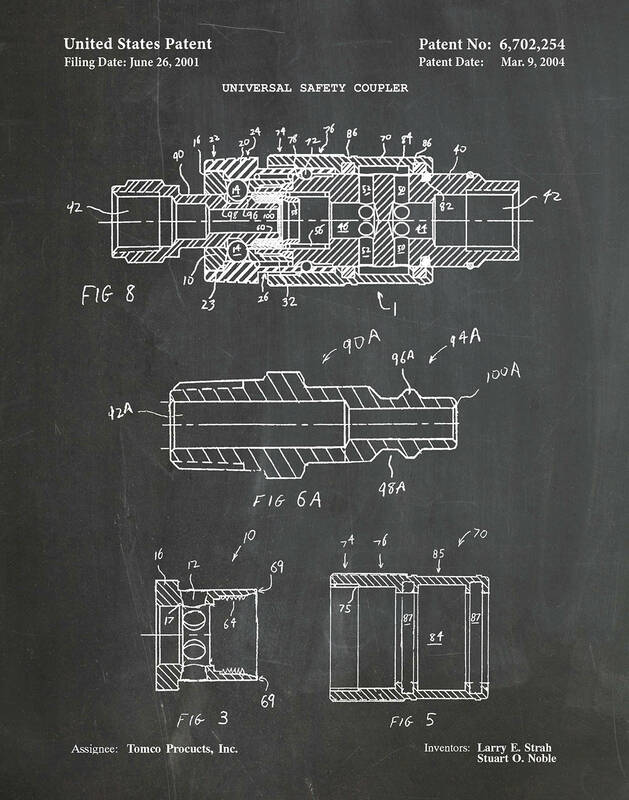 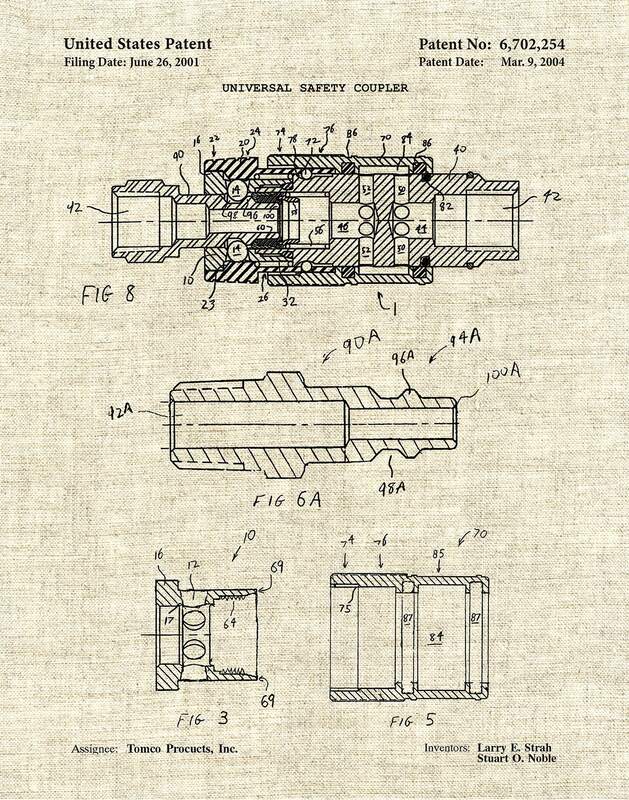 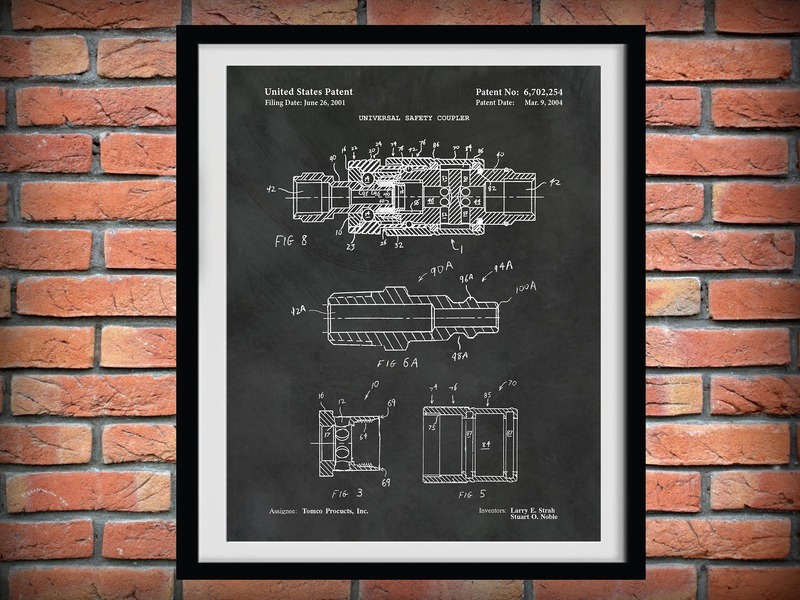 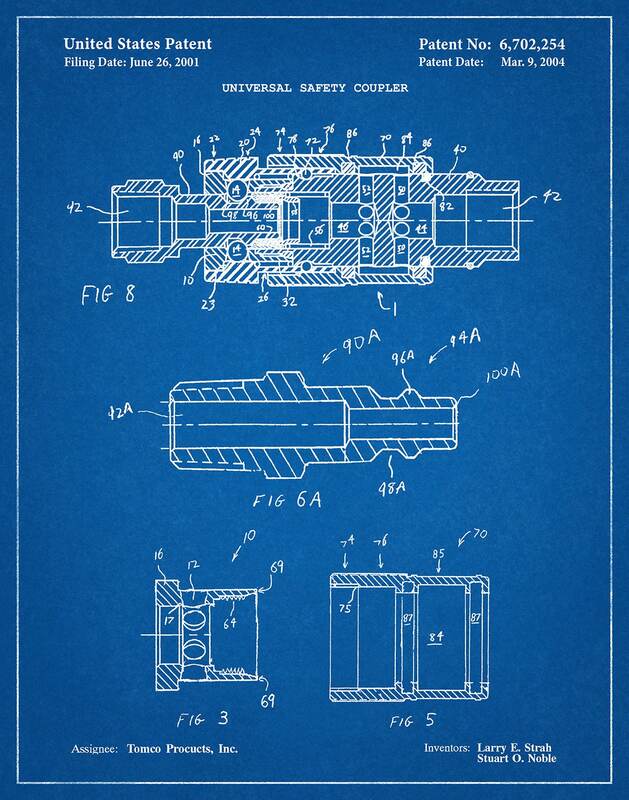 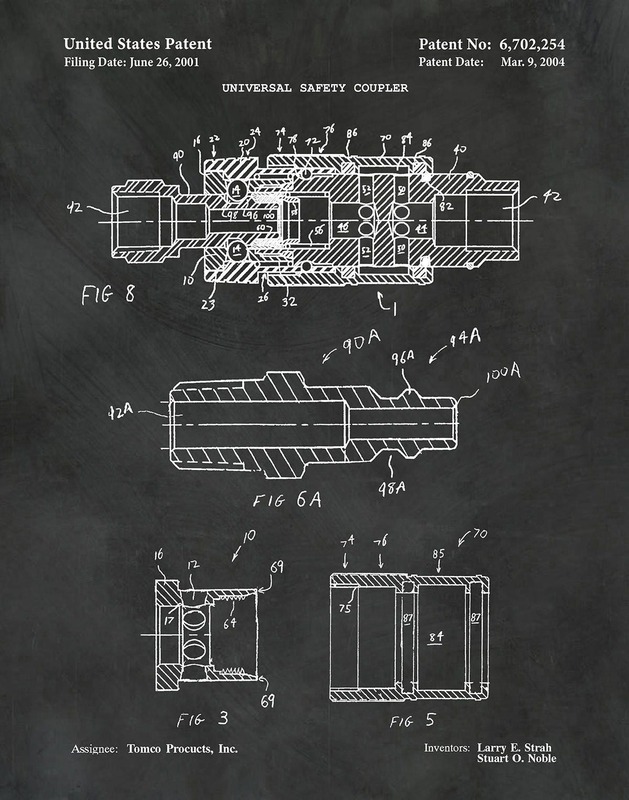 2004 Universal Safety Coupler Patent Print invented by Larry Strah and Stuart Noble for Tomco Products Inc. 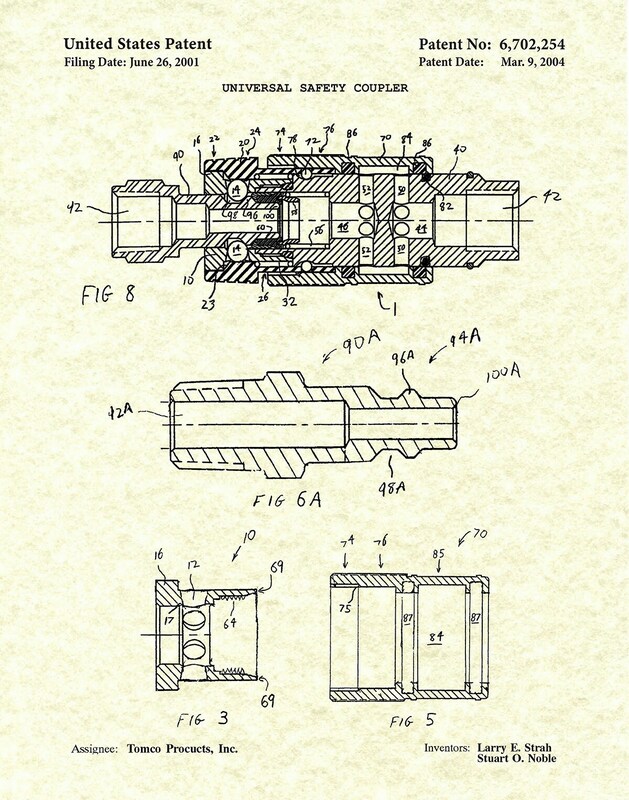 The United States Patent and Trademark issued the patent on March 9, 2004. 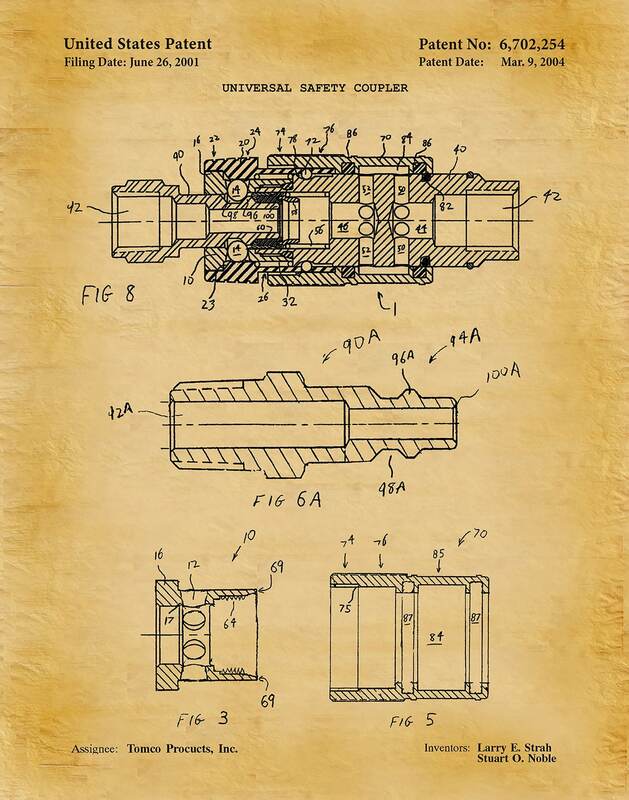 All patent prints and illustration pages are restored and digitally enhanced to remove as many flaws as possible while maintaining the integrity of the original document.